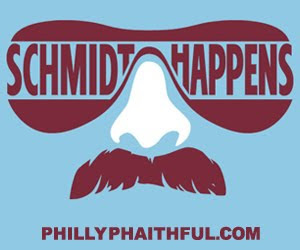 I'm Just Saying, Philly: Philadelphia Phillies: Key No. 2- Can Cole Hamels Go Back to the Future? 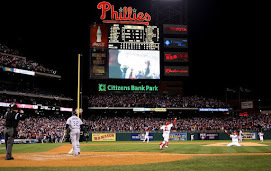 Philadelphia Phillies: Key No. 2- Can Cole Hamels Go Back to the Future? A significant factor in Ruben Amaro's decision to trade Cliff Lee relates to his "leap of faith" that this season's version of Cole Hamels will look a lot like the 2008 model. If the Phillies hope to have another successful season, Amaro and everyone else in the organization know full well that it will require a return to form by the young pitcher who's stock had been sky rocketing until experiencing some heavy turbulence last season. This certainly applies to the fate of the regular season, but will be especially critical in the spaced, short series format of the postseason tournament. As the Yankees demonstrated, along with many teams before them, two top notch starting pitchers at the top of the rotation can provide a decided advantage towards navigating to a championship. And, surely, two dominant hurlers taking the ball four or five games in a short series has been a proven postseason formula. The 2002 Arizona Diamondbacks are the poster boys for this approach. Last season, the Phillies proved the inverse to be true as well. The wheels teetered a little in the playoffs, but finally came off the bus in the World Series when the team could not follow up Lee's other worldly performances with the type of quality outing expected of a true No. 2 starter. This is not to suggest that last year's World Series defeat all falls on Hamels, although his now infamous comments after another failed performance suggest that he was seemingly feeling his team's collective weight on his shoulders. Pedro Martinez kept the team afloat in the playoffs by filling the void, but when his life raft started to leak in the Fall Classic, the hole in the rotation's second slot was glaringly exposed as the 2008 Phillies' achilles heel. Of course, it would be foolish to get ahead of ourselves since there is a full 162 game marathon in between to determine who will compete in the year-end tournament. Simply put, there will be no need to worry about the postseason rotation if the team does not qualify in the regular season race. To that point, it cannot be overstated to say that Hamels will be instrumental in his team's chances of both garnering a fourth consecutive National League Eastern Division crown and a playoff spot. The competition has gotten tougher and the current construct of the squad puts pressure squarely on the shoulders of the starters to perform to their potential. The team can ill afford the potential death spiral triggered by faltering starting pitching leading to a burned out bullpen. There is little reason to believe that Roy Halladay will be anything other than a rock at the top of the rotation– an unquestionable ace that harkens back to the days of Steve Carlton. Accordingly, the discussion and scrutiny begins with the pitcher who will be handed the ball the following day. As was covered yesterday, the rotation's fifth slot is currently a large question mark at best and has the potential to be a season long trouble spot, so this just ups the ante for Hamels. Besides avoiding undo stress on the relief corps, a solid season by Hamels will greatly diffuse pressure on J.A. Happ as he embarks on the encore challenge that comes with winning "The Sporting News Rookie of the Year." And, a strong season the likes of Hamels' 2007 and 2008 seasons (that resulted in a combined 29-15 record) will evoke an air of invincibility throughout the clubhouse. After entering last season with an intense hangover induced by an offseason of celebrating a starring role in the Phillies second World Series Championship, Hamels struggled with injury, shaken confidence and ultimately the growing frustration of unmet expectations. Having learned a valuable lesson that so many before him have also experienced, this season will presumably be different. The young hurler reportedly dedicated himself to a regimen of physical preparation through the offseason that was largely missing a year ago—and the presence of Halladay with his "lead-by-example" work ethic will only help. A quick start would not only bolster the somewhat tenuous confidence of Hamels, but it would also send a ripple of positive current through his teammates. But, for that to happen, "Hollywood" will need to re-gain command of his curveball and revitalize his signature change-up to the point of restoring his confidence to throw it at anytime in the count. The Phillies' "No. 2" needs to find the form that had fans, pundits and players singing his praises throughout the previous two seasons before encountering last year's difficulties. For 2010 and probably beyond, Ruben Amaro and the Phillies are banking on Cole Hamels going back to the future to once again become the guy they rode to a World Championship. Will the Eagles Capitalize On QB Riches?